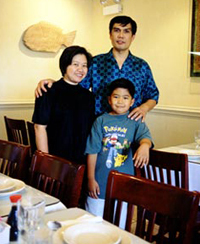 Ever since 1990 that we operated the 1st Thai restaurant until the Vinothai’s for 10 years, our goal has been to provide our customers with the finest and freshest tasting Thai food to go along with a pleasurable dining atmosphere. To all of our customers, thank you for letting us serve you. We welcome you back soon!